Blending both Vietnamese and European design elements, the architecture of the Khai Dinh Tomb in Hue has been described as Buddhist as well as Roman Gothic. Constructed in the 1920s, the tomb was commissioned by the Emperor of Vietnam as his own future tomb. The entrance of the complex leads to the Honour Courtyard, and then on to the main building called the Thien Dinh. Khai Dinh’s final resting spot is clearly marked by a bronze statue surrounded by beautiful murals. Under French rule, the Con Dao Islands were known as the Devil’s Island of Indochina, a place where thousands of prisoners of war were kept. Today, this group of 16 islands off the southern coast of Vietnam has a completely different purpose. Visitors come for the beautiful beaches and the abundance of scuba diving and snorkeling spots. However, the history of Con Dao can still be explored at some of the prison buildings that still stand. South of Da Nang, Vietnam, are the Marble Mountains. These five peaks are named after the five elements of earth, water, wind, fire and wood. The mountains are picturesque on their own, but they are also home to countless caves, some of which house incredible Buddhist sanctuaries. Some caves contain Confucian or Buddhist shrines, and others were used as sanctuaries and hospitals during the Vietnam War. 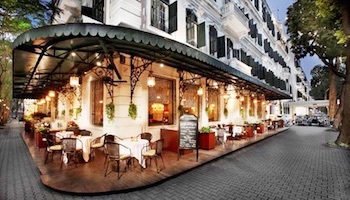 In Ho Chi Minh City, or Saigon, stands the stunning Notre Dame Cathedral. Built in the late 19th century, the cathedral is brick, neo-Romanesque and clearly influenced by European architecture of the same time period. In fact, many of the materials used in construction were imported directly from France. While the exterior is impressive, the interior is also worth exploring. Look for the surviving stained glass panels as well as carved tiles and a statue of the Virgin Mary. In the Ninh Binh province of Northern Vietnam near is Tam Coc, which translates to English as three caves. The three caves are nestled in a scenic landscape of limestone cliffs and rice paddies, and the river winds through the region. The caves are called Hang Cả, Hang Hai, and Hang Ba, and they serve as the area’s main attraction. 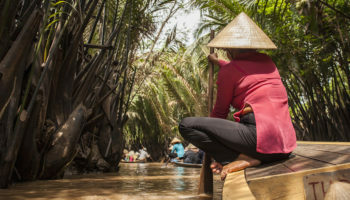 Guided boat tours take you to the caves and along the Ngo Dong River, which is often dotted with floating vendors capitalizing on the tourist visiting on a day trip from Hanoi. The most scenic spot in Da Nang is arguably My Khe Beach. Also known as China Beach, this was where US servicemen were helicoptered in for R&R during the Vietnam War. These days people come here however for tis pristine white sand, blue water and sunny skies. Visitors can rent a lounge chair on the sand, relax in the shade under a thatched umbrella or rent a kayak from nearby vendors. Many hotels and cafes are within walking distance of My Khe Beach, making it a hub for visitors as well as locals in search of incredible views. One of the largest caves in the world, and certainly the largest in Vietnam, is Hang Son Doong. Approximately three million years old, Hang Son Doong Cave is an incredible destination unlike anywhere else on the planet. The cave is enormous, and it is possible for dozens of people to camp within it at a time. Bright blue water pools are located in the cave, and a river runs through it. Lush greenery lines the walls, thanks to erosion that lets in beams of sunlight. The cave is ethereal, and guided tours are available to best explore this amazing landmark. In the city of Hanoi, there is an incredible temple dedicated to Confucius. Built in the 11th century, the Temple of Literature honors scholars and the many academic achievements of the Vietnamese, past and present. The Temple of Literature was even the site of the very first university in the nation. Among countless statues of Confucius and his disciples, there are impressive pagodas and a pond known as the Well of Heavenly Clarity. Once a week, the quiet town of Bac Ha becomes a hub of culture and trade in Northwest Vietnam. Residents from the surrounding villages and valleys flock to Bac Ha, and the roads are filled with buses packed with tourists. Visiting on a Sunday means watching locals in their traditional ethnic dress, sipping the juice from fresh coconuts and browsing countless stalls. Shoppers can find everything for sale in Bac Ha, including water buffalo, delicious Hmong and Thay cuisine, brightly colored fabrics and fragrant spices. 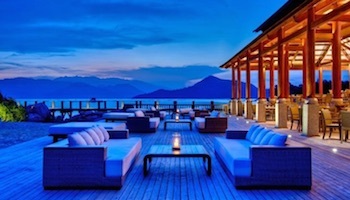 Several miles off the coast of Hoi An is a cluster of mountainous isles known as the Cham Islands. Primarily granite, these islands were once restricted but are now open to the public. The main island Hon Lao, the largest and the only one inhabited, is less than two hours’ away by speed boat. 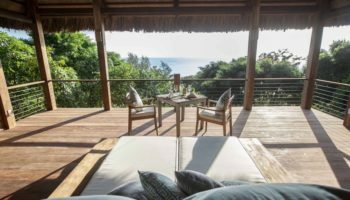 Visitors can come for the day and go birdwatching, snorkel through the surrounding reefs or just enjoy the scenery of the beautiful beaches. 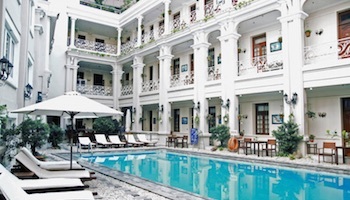 Overnight stays are limited, but can be an incredible experience for the intrepid traveler. Known to many travelers as Crazy House, Hang Nga’s Guesthouse is a very unusual piece of architecture that also serves as accommodation in Da Lat. The structure was designed by a local architect named Dang Viet Nga, but he was clearly influenced by the Spanish architect Gaudi. The guesthouse looks like a tree and is complete with details like a cavernous stairway, branches that twist out of windows and sculpted animals that double as furniture and even fireplaces. One of the most sacred attractions in Vietnam is the Cao Dai Temple, which was constructed in the 1930s. Caodaism is a uniquely Vietnamese religion that is influenced by elements of Confucianism, Buddhism, Taoism and even Roman Catholicism. In the main building of the Cao Dai Temple, there are four prayers conducted daily, and visitors can watch or even participate in the ceremonies. In addition to the temple, which boasts beautiful murals, the complex is home to many additional residences, administrative buildings and even a hospital. 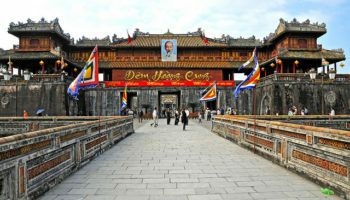 For nearly 150 years until World War II, the Imperial Citadel of Hue served as the capital of Vietnam’s Nguyen dynasty. In the very center of these secure walls was the Purple Forbidden City, an area reserved exclusively for the royal family. The enormous Imperial Citadel was also a strategic hold during the Vietnam War, as it stands very close to the demilitarized zone that separated North and South Vietnam. This destination is significant for all those who are interested in the history of the nation. More than 1,600 years ago, the Chan people of Vietnam began construction on dozens of Hindu temples near the village of Duy Phú. Under the shadow of Cat’s Tooth Mountain, and surrounded by a green valley, several of these temples still stand. Known collectively as My Son, most of the temples are now ruins. However, that only adds to the atmosphere. Visiting My Son is like stepping back in time, thanks in part to its secluded location and the lack of touristy infrastructure. Phong Nha-Ke Bang National Park boasts many attractions, but none is so popular as its caves. The Phong Nha Caves are made up of hundreds of cave systems, many of which are large enough to hold entire city blocks. The biggest, and most notable, is Hang Son Doong. A gateway to the caves is Son Trach, a growing village that is home to several transport links throughout Vietnam, local restaurants and meeting points for guided tours to the caves. Which attractions in Vietnam do you consider to be the most interesting? Great post and useful information! Thanks! Vietnam seem to be a very beautiful country that I would like to visit soon. I love to see my country again and i am doing my project about my country. I luckily see this site and have enough info here. Thank you very much . 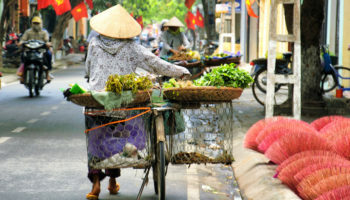 As a solo-backpacker will be touring Vietnam and Cambodia in November 2013. thanks for youir excellent information on Vietnam places of Interest. If you have time, Just visit Da Nang City, Viet Nam. Da Nang is very nice and full of hidden thing waiting for your Exploration. Just left Vietnam having spent 3 weeks there, what a nightmare. Been on the road for 4.5 months now, overland from Europe, as part of a 7 month trip. I’ve visited nearly 50 countries in my lifetime, Vietnam is just the worst. As a tourist you are constantly lied to, cheated and overcharged (by 5, 10, 20 times the fair price) not by a small minority, but by the vast majority of the people you interact with – if you let them. If you choose to visit Vietnam for its mediocre sights, take GPS enabled maps, a stack of local information / guidebooks and make absolutely sure you believe and trust no one you speak to while there. Son Doong cave is also Amazing!! I’ve been in Hanoi and walked around Hoan Kiem lake and Halong bay. Very nice! Vietnam is a great travel destination. I spent a month in south VN in 2008, and hope to visit the north (Ha Giang, Lang Son) later this year. I am currently in Vietnam and so far this place has been a complete tourist-unfriendly rip off. 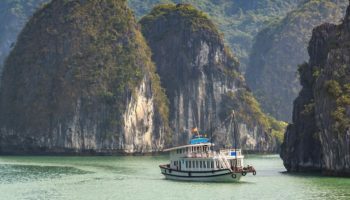 Yes Halong Bay is nice, yes the sights such as Ho Chi Minh’s Museum and Mausoleum and the Vietnam War museum and Hanoi Hilton prison in Hanoi are worth seeing but to get to these places you have to put your life on the line just to walk along a road. Never have I met such insincere people in my life and I have travelled all over the world including backpacking in Thailand, Chile, Venezuela, Sri Lanka, South Africa etc. Tourists pay far more than locals for train tickets, bus tickets,food. The food is bland and unappetizing compared with Thailand in restaurants and its ten times more difficult to use street vendors as nobody speaks english or has english menus. 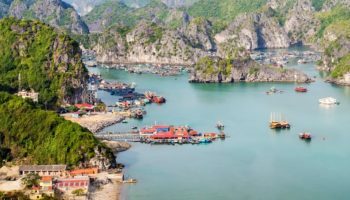 Only 5% of visitors return to Vietnam compared with 50% who return to Thailand, and you have to pay a very high cost for a visa to get here as well. My advice for Vietnam would be if you have to visit, go with a tour company having paid for everything in advance. Sorry we wont be returning. Ever. I’d like to recommend a tour with the Easy Riders from Dalat. It was a nice experience. Anyone, who wants to know more, can check it out on my blog. Plus, Dalat itself, is a nice place to hang out. Vietnam is one of the most diverse and beautiful countries i have been to, to those that say it is a rip off is completely wrong, you pay a single dollar for some of the best street food in the world. Tourists pay more than locals because nearly every local i met had never left their town or major city because they earn basically nothing compared to western travellers.I would highly suggest spending 1 to 2 months in this amazing country. So much love for Vietnam. I am in Vietnam right now, and I have to say it’s a completely positive surprise. 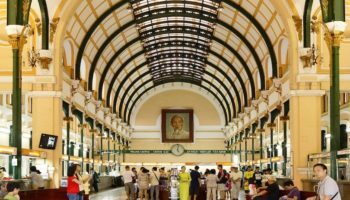 We have heard from a lot of people that vietnamese are unfriendly, stories of ripping off the tourists, etc… Well, I have seen a bunch of foreign tourist here bargaining for every penny, and complaining about everything. Hanoi as an amazing place and Halong Bay is unbelievable, and local people are generally very friendly and quite natural. And even if we (the foreigners) pay more than the locals, it is still a very cheap country. Besides, if we are honest to ourselves, we should be more than happy how they treat us after all the misery the west has brought to them in the past. Next week heading off south, can’t wait to see other fascinating places in this beautiful country. You have got to love Marisa’ post with quotes like “none of the vendors speak English or have English menus”! Hello, Just back from a great trip to Vietnam, amazing place, clean, green, never felt intimidated once in our 11 days trip to this Gods country, with such a rich history, diversity, culture food etc….we were a group of 17 from India. Being from India we did not find traffic as chaotic of how it is written about. We thoroughly enjoyed the food from pork, sea food, and even tried crickets!!! We enjoyed every city, special was Hoi An could have stayed longer there!!! Amazing pagodas and temples, awesome Ho Chi Minh Mausoleum. The Cu Chi tunnels give you a real experience of the ingenuity of the Viet Cong (VC). This country has to be in the list of MUST visit before you die. To those who say you got ripped off while traveling in Vietnam, as being a Vietnamese, I very apologize for this unfriendly manner. I understand this and this could even happen to Vietnamese tourists. As my own experience, places that you could be ripped off the most are street-food places. If you don’t understand the culture there, please find a local, they will help you get around. We are very friendly and we would love to learn English from travelers. I understand why those people rip foreigners off. It is because of poverty and lack of education. I believe when a new government ruling our country and kick the communists out of our land, things will change. Vietnam is so beautiful. I would love to go back there and travel to every corner of the country. Before I start traveling the world, I have to explore my own mother land. Literally just returned (yesterday) from an awesome trip to Vietnam. Loved it there and the food and people were awesome. Very respectful, friendly and helpful. Our guide was phenomenal. Help! Need to take vacay soon! Cant decide bw vietnam and thailand. Want something different as far as culture (i’m from usa). Love beaches, touristy stuff and immersing myself with the locals. Drawn to vietnam for the history and because my dad fought in the war. Drawn to thailand for the beaches. Plan on two weeks at either country. Cost is a factor. Would also like to do a side trip to angor wat since i’ll be so close. Input/suggestions would be appreciated! Spent 3 weeks in Vietnam & loved every minute of it. I may have got ripped off a dollar or two here & there but its so cheap it didn’t worry me. The food is great, the people are great. Hoi An is a delight. I always travel to Thailand but it was a great break away from Thailand and will be heading back to Vietnam 2015 for more exciting travel. PS; Marisa, I’m going to learn basic Vietnamese to get me by. No ranting from me. I’ve traveled several times by motorbike covering between 1700 and 2100 km throughout Vietnam. Now living in DaNang. The beaches here are fantastic, lodging is of your choice and many say the food great. Love Vietnam! Yes, you can be ripped off and charged more if you act like an ethnocentric tourist… bargain for things like the locals do, be smart by learning atleast a little of the language, get a guide if you need one. Don’t renounce the place because YOU can’t fit in and atleast try to have cultural etiquette! Of if the best trips of my life! Truly awesome! I will be back!! Beautiful country to visit. Viet Nam has improved a lot after a long war. Thanks for the information. If you go to Vietnam, it is best to travel on your own. Stay away from the tourist traps because as a tourist, you will be expected to pay high rates. Better to rent a motorbike and just go. 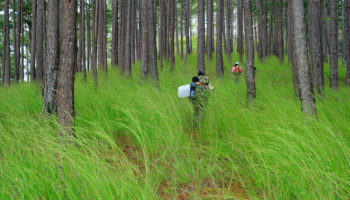 I have been to Phu Quoc island and it is not clean. The Vietnamese are the worst next to India about throwing garbage everywhere. We went to star beach in the very south of the island. It’s difficult to get there, not many speak English, and it’s very expensive. There was polluted water running off into the sea. The beach water was yellow at the shoreline. There was garbage dumped everywhere. Your cheap rooms at an overnight house should cost around $8 per night in the off season. At a higher end place it will be about $50 / night. In the high season it will be much more. love Vietnam so much. People are very friendly. I have just had an interesting holiday with my family in summer. Nha Trang beach is the most beautiful beach i have ever seen. The food is very special that no country has. I will come back to Vietnam soon. i really like Việt Nam. In my opinion, i think you should visit Phú Quốc. What a beautiful island! we are planning to visit Vietnam shortly .,good to learn reviews as posted by all of you. We are excited to explore. i am planning to visit this country by next year , this blog is very helpful . amazing place! see you sonnest! I think Ha Giang, Ba Be lake, Ban Gioc waterfall, Trang An are beautifull too. 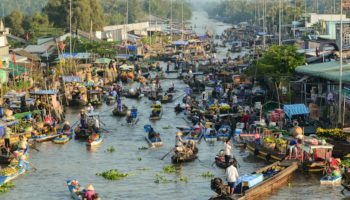 I am planning a trip to Vietnam and Cambodia for Feb 2018 and this site has been of great help. so many positive comments and a few scarey ones…I will continue doing my home work and am hoping that 10 to 14 days will suffice for the trip from north to south and Con Dao. I spent two weeks in Vietnam Dec 2016, Cam Ranh, Nha-Trang, Ho Chi Minh City, Cu Chi Tunnels, Tay Ninh, The Mekong Delta, I have never had such a great trip in my life. I am already planning my next trip. I can’t wait to go back. The in country flights are fantastic, the people are awesome and for those who complain about the traffic, hey it is their way of life, they don’t need to change because are coming to visit. Go there and enjoy yourself.